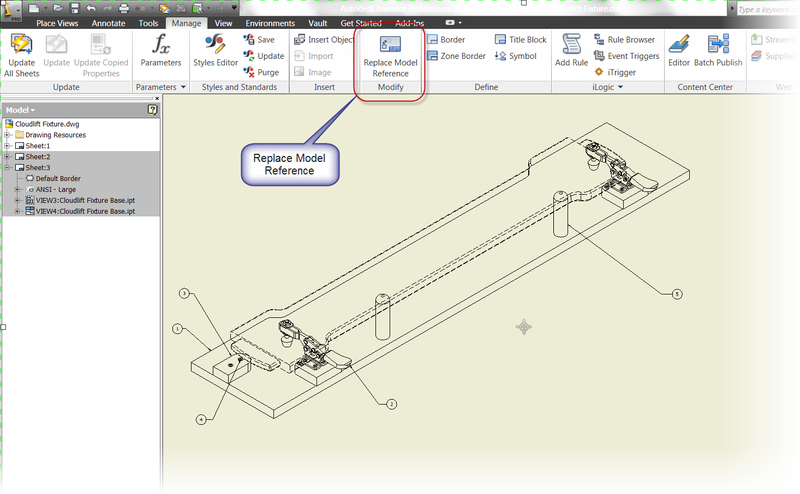 Every release of Inventor brings many new features. So many, in fact, that some useful features can get easily overlooked. To this end, I've decided to revisit one of those, 'subtle but significant' features; Replace Model Reference. 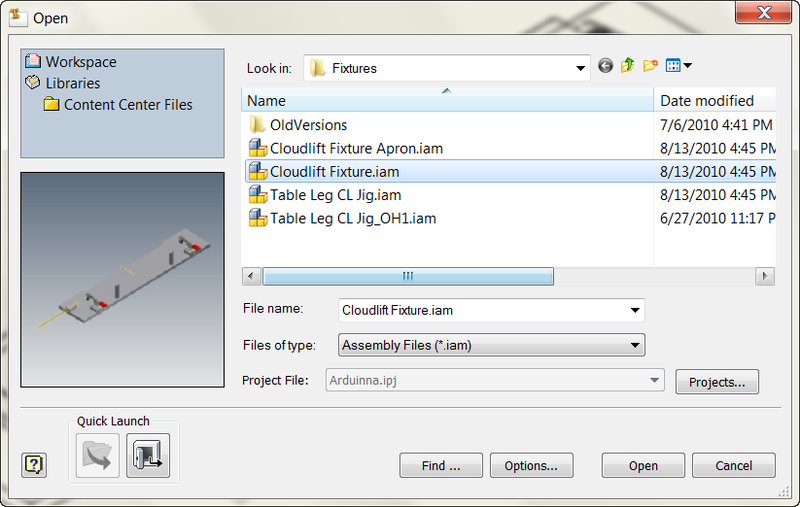 This particular feature is actually available from the 'Subscription Advantage Pack' for Inventor 2010. 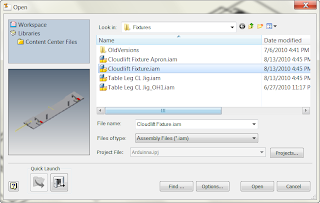 If you're on subscription, those files are available from the Autodesk Subscription site. 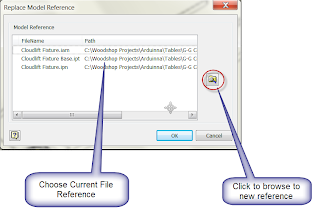 It was made available to everyone with the release of Inventor 2011. What does this tool do? 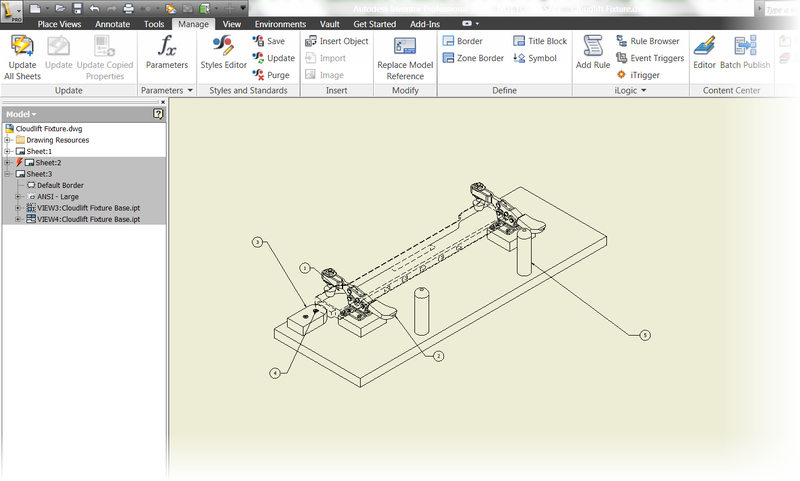 It lets you change the model an Inventor drawing is using to generate it's view. Why would I use it? If you've ever tried to parts, assemblies, and drawings, in Inventor, you've seen that the drawing you've just copied wants to reference the original part or assembly. The old trick was to rename the original files, and force the drawing to ask you for it's reference file. You'd point it to the new copies, and you'd be off and running (after renaming the originals again, of course). Effective, but a little inelegant. But by clicking the Change Model Reference button, you can open up a screen that allows you to select the current reference, and then browse to redirect it. Clicking the browse button, you can select a new model. Once that's done, the new file will replace the current one. There it is. The new reference! Bear in mind, while Inventor will try to keep the dimensions it can, but it may not. It all depends on how different the view is. If it's totally different, all best are off. But, if you've just created a copy, it's pretty solid. So there it is. Give it a whirl. It's a great help! Hmmm. I haven't tried it that way. Never needed to myself. Might be a good one for the AUGI wish list. Piou2fois, you are correct. I tried it quickly this evening. Definitely a good one for the wishlist at the Augi website! www.mcadforums.com/ is definitely a great forum. I use the AUGI wishlist because I know it gets submitted to Autodesk. The important part is that Autodesk hear your wish, no matter what vehicle you use! 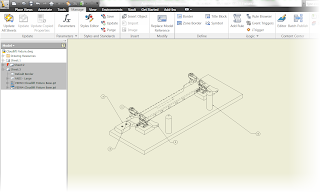 I have opened the discussion on the autodesk forum of Inventor. The answer was : "why are you using multisheet drawings"
I'm not sure there is a 'right' workflow, so much as is there a 'right workflow for a situation'. I've seen 1 drawing per file. Flexible, but a lot to manage, even with something like Vault. I've also seen all drawings in one file. Which can get unwieldy if a drawing set gets big. I don't like dealing with a 30MB drawing file if I can avoid it. My personal preference is having a drawing set for a sub-assembly. IMHO, the best of both worlds. With respect to changing the model reference, the most common workflow I've seen for this when files are being copied in Windows Explorer. 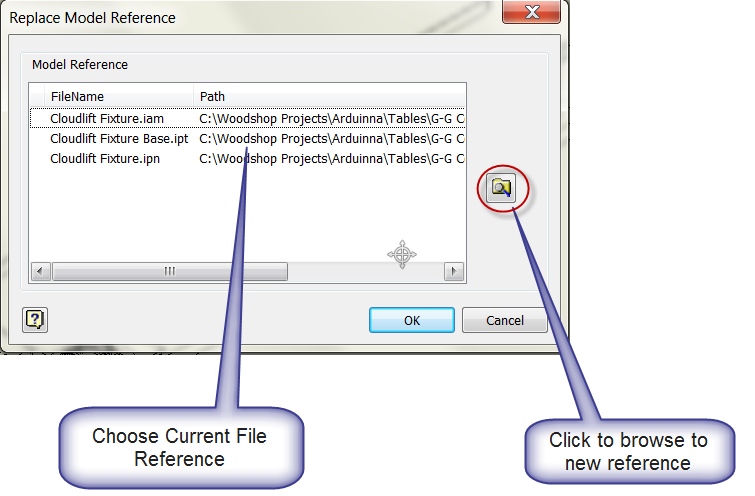 You can correct the references to ensure your referencing the correct model file. This is the case where it's pretty typical that you would be changing all the views. Has anyone tried to conbine Replace model reference within a Rule with iLogic?